Information reaching our desk has revealed that a Federal High Court sitting in Abuja has nullified the convention of the Peoples Democratic Party (PDP) scheduled to hold on August 17. From what we gathered, the decision of the court came after the judges reviewed suit filed in by Ali Modu Sheriff-faction of the national leadership of party to stop the convention from taking place. The sitting was held this morning, Thursday, July 28. Nine plaintiffs filled the suit numbered FHC/ABJ/CS/464/2016 for themselves and on behalf of the Executive Committee/National Working Committee of the PDP. They are Sheriff as the National Chairman; Prof. Wale Oladapo (National Secretary); Dennis Alonge-Niyi (Deputy National Youth Leader); Alhaji Bashir Maidugu (Deputy National Legal Advier); Mrs. Hanatu Ulam (Deputy National Women Leader); Alhaji Lawa Dutsima Anchi (Deputy National Auditor); Chief Okey Nnadozie (Deputy National Organising Secretary); and Chief Olia Metuh (National Publicity Secretary). 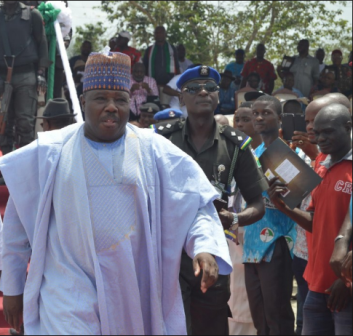 Ali Modu Sheriff-faction of the national leadership of party urged the court to declare all moves aimed at removing, replacing or conducting fresh elections into their offices as illegal, unlawful, unconstitutional, null and void.